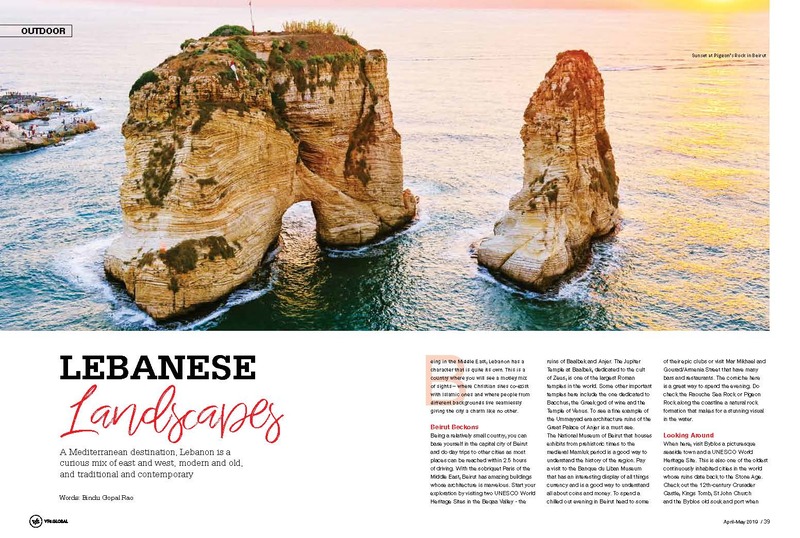 A Mediterranean destination, Lebanon is a curious mix of east and west, modern and old and tradition and contemporary which gives it a unique flavour. Being in the Middle East, Lebanon has a character that is quite its own. 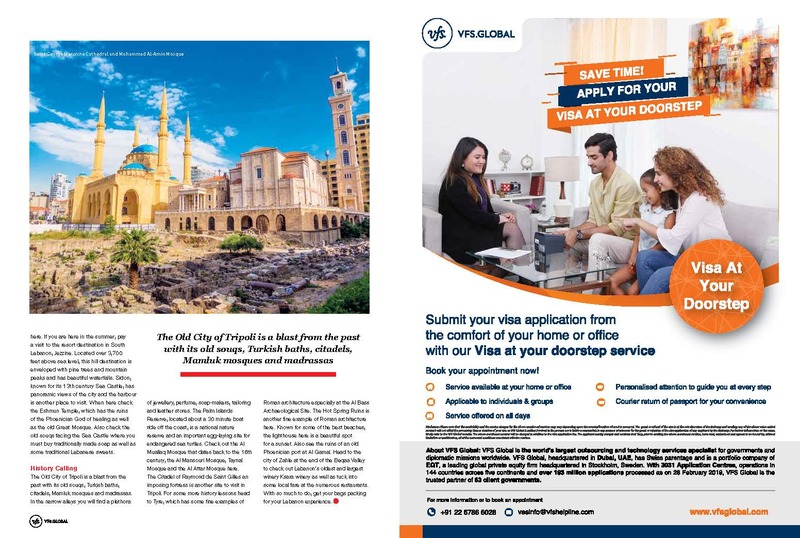 This is a country where you will see a motley mix of sights – where Christian sites co-exist with Islamic ones and where people from different backgrounds live seamlessly giving the city a background like no other. Being a relatively small country, you can base yourself in the capital city of Beirut and do day trips to other cities as most places can be reached within 2.5 hours of driving from Beirut. With the sobriquet Paris of the Middle East, Beirut has amazing buildings whose architecture is absolutely marvelous. Start your exploration by visiting two UNESCO World Heritage Sites in the Beqaa Valley the ruins of Baalbek and Anjer. The Jupiter Temple at Baalbek dedicated to the cult of Zeus is one of the largest Roman temples in the world. Some other important temples here include the one dedicated to Bacchus, the Greek god of wine and the Temple of Venus. To see a fine example of the Ummayyad era architecture ruins of the Great Palace of Anjer is a must see. The National Museum of Beirut that houses exhibits from prehistoric times to the medieval Mamluk period is a good way to understand the history of the region. Pay a visit to the Banque du Liban Museum that has an interesting display of all things currency and is a good way to understand all about coins and money. To spend a chilled out evening in Beirut head to some of their epic clubs or visit Mar Mikhael and Gourad/Armenia Street that have many bars and restaurants. The corniche here is a great way to spend the evening. Do check the Raouche Sea Rock or Pigeon Rock along the coastline a natural natural rock formation that makes for a stunning visual in the water. When here, visit Byblos a picturesque seaside town and a UNESCO World Heritage Site. This is also one of the oldest continuously inhabited cities in the world whose ruins date back to the Stone Age. Check out the 12th-century Crusader Castle, Kings Tomb, St John Church and the Byblos old souk and port when here. If you are here in the summer, pay a visit to the resort destination in South Lebanon, Jezzine. Located over 3700 feet above sea level, this hill destination is enveloped with pine trees and mountain peaks and has beautiful waterfalls. Sidon known for its 13th century Sea Castle that has panoramic views of the city and the harbour is another place to visit. When here check the Eshmun Temple which has the ruins of the Phoenician God of healing as well as the old Great Mosque. Also check the old souks facing the Sea Castle where you must buy traditionally made soap as well as some traditional Lebanese Sweets. The Old City of Tripoli is a blast from the past with its old souqs, Turkish baths, citadels, Mamluk mosques and madrassas. In the narrow alleys you will find a plethora of jewellery, perfume, soap-makers, tailoring and leather stores. The Palm Islands Reserve located about a 30 minute boat ride off the coast is a national nature reserve and an important egg-laying site for endangered sea turtles. Check out the Al Muallaq Mosque that dates back to the 16th century, the Al Mansouri Mosque, Taynal Mosque and the Al Attar Mosque here. The Citadel of Raymond de Saint Gilles an imposing fortress is another site to visit in Tripoli. For some more history lessons head to Tyre which has some fine examples of Roman architecture especially at the Al Bass Archaeological Site which has the best preserved, largest example of a Roman Hippodrome. The Hot Spring Ruins is another fine example of Roman architecture here. Known for some of the best beaches, the lighthouse here is a beautiful spot for a sunset. Also see the ruins of an old Phoenician port at Al Gamal. Head to the city of Zahle at the end of the Beqaa Valley to check out Lebanon’s oldest and largest winery Ksara winery as well as tuck into some local fare at the numerous restaurants. With so much to do, get your bags packing for your Lebanon experience.